Here is a standing tribute to Chimpunka Publishing for takin .. 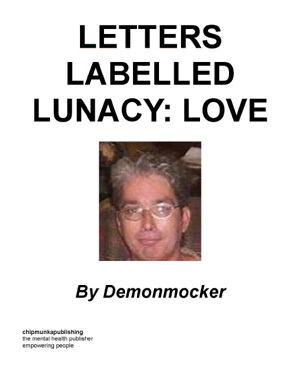 Letters Labeled Lunacy: Love is the love story of a young child who took vows early to champion and defend the uncaptioned, the un-cared for and the undefended. This work carried the function of the imagination into the introduction to the reader that faith and imagination and reason are in better affair than if reason attacks the function of faith and magical thinking. A benevolent and playful spirit, was denied access to education, college, employment, banking and other tiers of society owned by the government including the government, which contributes money to itself at the of other or otherwise not specified sources. I am disputing and would amend any records or opinion indicating that I had a condition justifying high dosages of anti-psychotics. I am disputing any records or opinion indicating that I had a condition justifying high dosages of anti-psychotics for a extended period of time. 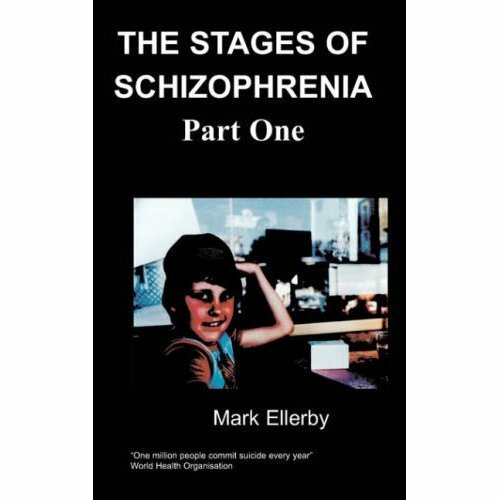 While I not inquired of my mental status, conflict, or condition I was somewhat forced into electroshock and the drug clozaril which is reserved for severe schizophrenics who are suicidal. I was also administered other drugs at that time. I had been prescribed lithium at 900mg prior to the electroshock and the clozaril, depakote, etc. the psychiatrist’ involved with mountain lakes and Huntsville hospital wrote that I had been unresponsive (right word?) to lithium. I remained on clozaril, depakote, etc for approximately ten years. These chemicals affect the brain an mental status and tend to give one side effects that mimic the symptoms of schizoaffective disorder which has no clear definition. I took the chemicals exactly as prescribed until May 13, 2005 the chemicals became toxic and hallucinatory in effect and to my opinion began some damage neurologically as my ear canals or eardrums became as I if there was pressure in them, I could hear myself breathing in my ear’s it seemed and my ear’s began to ‘pop’ as if ones ears ‘pop’ while in a airplane or travelling up a mountain except they do it often with the ‘air pressure sensation building to the ‘pop’ or building top a point and remaining steady in sensation of pressure without ‘popping’ for an shorter or greater length of time. This happened near the front door of mountain lakes behavioural healthcare who personally came out to observe my state about three times as the morning progressed. I did speak not speak to them at all. The psychiatrist office was about fifteen feet away from where I stood. They did a urine test which I spat tobacco into due to suspicion that they would put something in the specimen to test as a false positive for a drug that I had not taken. The clozaril experience was somewhat like a LSD experience one might read about in a story. These personnel; rendered no aid into the afternoon which their own records will probably reflect the time I was noticed and the time arrangements were made to go to a hospital except they will probably say that I was hearing voices and the voices were saying things when in fact I did not say the first word to them at all. I agreed to go to the hospital for dehydration due to being left out in the heat without care. Once at Grandview Hospital the psychiatrist put me on 900mg lithium plus 20mg of zyprexa. I am certain that mountain lakes wrote up papers to send there saying that I was severely schizoaffective. In any case, he asked me about lithium and other drugs in the past and made those prescriptions. On return to mountain lakes Dr Jain prescribed geodon, another heavy atypical antipsychotic for no apparent reason and the next visit while discussing how I felt I mentioned that my fingers tingled. She said, ‘’I’m glad you mentioned that because that is a very bad sign’’ and discontinued the geodon immediately. That was in June or July, 2005. I was quite devastated at this because electroshock and clozaril effectively leaves one without willpower and a invalid of a sort and I suppose a permanent client. So I was terrified of what mountain lakes was up to since I had told five employees of my purpose to go to work and college without being given a reply.